My blog on GNOME, programming, maps and stuff. 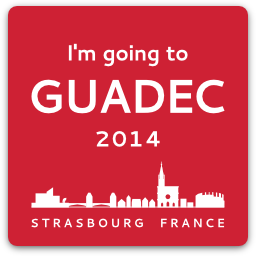 I'm going to GUADEC again this year. Actually I should probably be packing since my flight leaves for Strasbourg in 4h. But first a quick announcement. I'd like to announce my intention to hold a Maps BoF this GUADEC. Maps is shaping up and after we've gotten the work from this years GSoC projects merged we are hopefully starting to look like a real world usable application. Now would be a good time to look over what we've done and discuss where we're going with the larger GNOME community. We want input and feedback on design, code and more. And we want help from you guys to decide what kind of an application we want Maps to become in the future. So, if you're staying past the core days at GUADEC this year and are interested in Maps, please add yourself as an attendee here! Regarding date and time, my suggestion is 14-19 on the 31st of July, but personally I'm flexible.